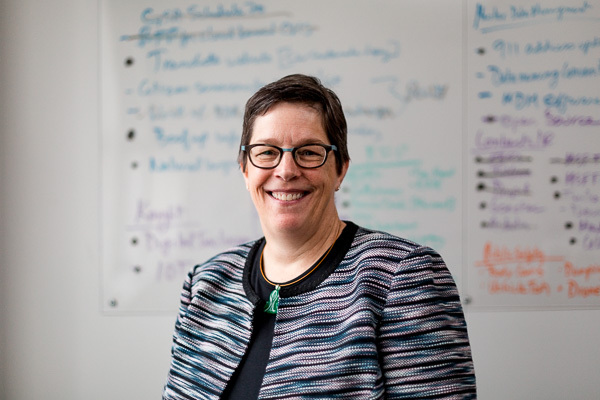 When Beth Niblock arrived in Detroit as the city's first chief information officer in 2014, she inherited something of an IT nightmare. "The stories that hit when I first got here were, 'It took my machine five to seven minutes to boot,' or 'I never received emails,' or, 'If I received the emails, the version of Office we were using was so antiquated that we couldn't open any modern Office document,'" Niblock says. "Just on and on and on." But over the past three years Niblock has led city government through something of a tech revolution. 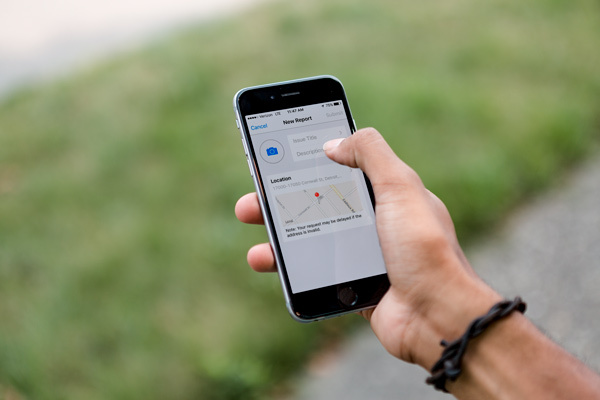 Today, thanks to the work of the Niblock-led Department of Information and Technology (DoIT), Detroiters can report potholes and other infrastructure problems through an app, pay water and sewer bills through public kiosks, and track city crime through an online map. All those steps forward started simply by updating the technology that the city itself runs on. Post-bankruptcy, the city plowed $85 million into system upgrades over the course of an 18-month process. 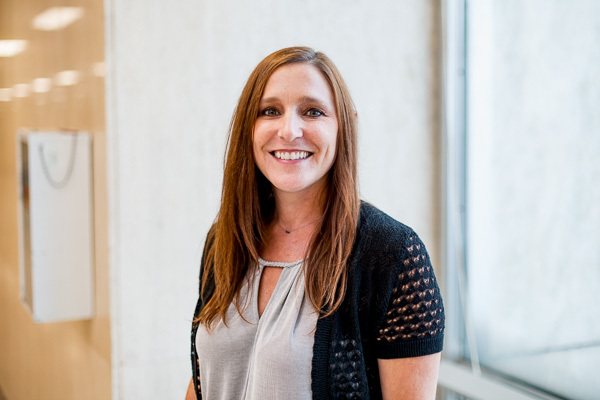 Program management officer Amy Sovereign, who joined the city just after Niblock did in 2014, says that alone had a major effect on the city's ability to better interface with residents through technology. "There was a lack of investment prior to our arrival, and it really degrades the people's sense of confidence that they're going to be getting what they need out of their IT equipment," Sovereign says. "I think it really helped bolster that morale and that confidence." Since that first step, the city has adopted modern technology to better interface with Detroiters in a variety of ways. 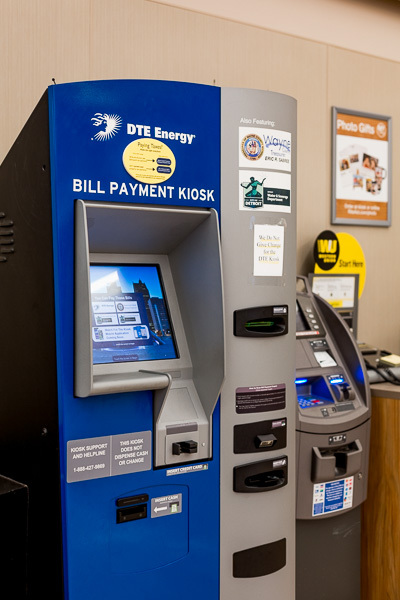 Most recently, the Detroit Water and Sewer Department introduced 37 kiosks across the city that allow residents to pay their water and sewer bills digitally instead of waiting in line at a city office. Niblock says kiosk services will eventually be expanded so that residents can also pay parking tickets and taxes. "We're really trying to make it as easy as possible," she says. "However a citizen wants to interact with us, whenever they want to interact with us, is really what we're striving for." Another major DoIT initiative was the city's open data portal, which launched in 2015. The portal provides online access to city data ranging from demolition records to liquor licenses, and Niblock stresses that it's just getting started. DoIT is in the process of implementing a new civic engagement platform called Accela, which will help to streamline the back-end process of loading data into the system. Accela will also move the city closer towards implementing online permitting services. DoIT will also soon roll out an improved version of the open data portal's most popular feature: its city crime map. "The way it displays right now is really hard to understand," Niblock says. "We're trying to make that crystal-clear, very easy, very clued from the iconography on the page. ... Right now it really takes some getting used to." DoIT has also stepped up its use of enterprise geographic information systems (GIS), something that Niblock says was once a strong suit for the city but fell by the wayside as the financial picture weakened. The city is currently working on GIS applications for 911 dispatch and blight surveying, and it recently completed a weekend-long commercial corridor survey using car-mounted GoPro cameras. "You name it, we're doing it," Niblock says. One of DoIT's most successful initiatives so far has been the 2015 launch of the Improve Detroit app, which allows residents to report infrastructure maintenance issues to the city and track repair progress. The app leverages the SeeClickFix platform developed in New Haven, Conn., which is used in hundreds of communities nationwide. Sovereign says the system was appealing both for its ease of use and low-cost approach to achieving Niblock's goal of implementing a city 311 system. "311 systems are fairly expensive and very labor-intensive to run," Niblock says. "We already have folks calling the mayor's office. We have folks calling the ombudsman and folks calling their councilmembers, and they call the departments directly because that's been the practice. So we try to pull that together in this Improve Detroit app." To implement the app, DoIT staff relied on the efficiency-minded concept of lean process—a favorite of Detroit mayor Mike Duggans. DoIT worked with each of the departments that would be fulfilling Improve Detroit maintenance requests to understand their workflows and then incorporate the app into their operations. "You never want to just put something in a catapult and lob it over and say, 'Here's your new thing,'" Sovereign says. "It's not going to happen and people are going to go around it. So one of the things lean does is engage the people who are filling the pothole—with shovel in hand, going and watching them and seeing how this works and asking people what they do." The system has been overwhelmingly popular so far, with illegal dumping sites being the most frequently reported issue. "People love it," Sovereign says. "Our usage has just skyrocketed since we've gone live with it." DoIT has also sought to engage citizens in simpler ways. 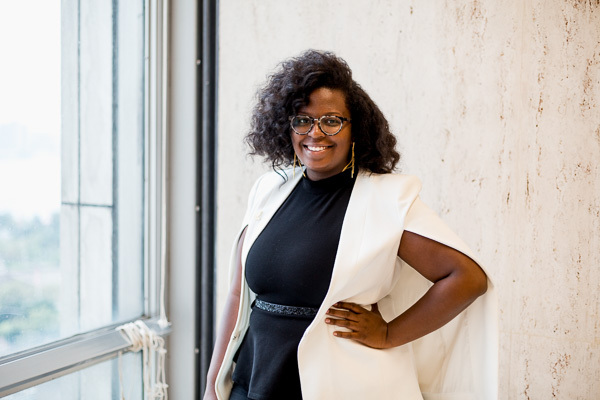 When Amber Lewis came on board as the city's digital and social media manager in 2016, she first sought to streamline branding across the city's social media accounts. But she's also made an effort to introduce humor into the city's social media presence, and to introduce new programs by telling the stories of people who will be affected by them. "You have to humanize it in order for people to feel that it's relatable," Lewis says. "You don't want to just seem like robots. We're telling people, 'This program is here. Contact this person for this,' but we care about what residents care about too." Lewis' approach fits right into DoIT's overarching philosophy of interacting with Detroiters. Niblock notes that there's a sizeable digital divide in Detroit, and many residents still interact with their government primarily by non-digital means. Technological interfaces, she says, are "in addition to that, not in lieu of." "As much as I'm clearly an advocate and somebody who embraces technology, I think we also have tried to remain really sensitive that we're just adding to the portfolio of ways that people can interact with us," Niblock says. Although they've made significant strides already, Niblock and her DoIT team are only planning to expand that portfolio further. DoIT is currently gearing up to compete with other city departments for a new round of city innovation funding. "I don't acknowledge what we've done and done well, and in what a compressed amount of time we've been able to do things," Niblock says. "I only see the 87 things that are left to do."